The 2015 South-South Awards, the world’s foremost global development event, will feature some of the most celebrated Hollywood actors, including Oscar winners Robert De Niro, Michael Douglas and Forest Whitaker, who will be lending their voices to honor the achievements of the global South and celebrate the 70th Anniversary of the United Nations and its adoption of the new universal development framework known as the Post-2015 Development Agenda. 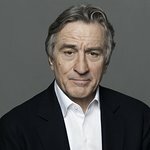 Film legend and Co-founder of the internationally renowned Tribeca Film Festival, Robert De Niro, will kick off the awards ceremony with a special video message. 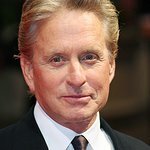 UN Messenger of Peace, Michael Douglas, will honor the UN as its turns 70 with a personal message, while actor and producer Forest Whitaker is set to present the Humanitarian Achievement Award to philanthropist William “Bill” F. Austin, founder of Starkey Hearing Foundation, at the gala event, set to take place for a live global audience on September 26th at the iconic Waldorf Astoria Hotel in New York City. “The gift of hearing can change a life in an instant, and helps empower people to learn, get jobs and connect to their families and communities in ways they never thought possible. I have partnered with Starkey Hearing Foundation in the field, and seeing someone hear for the first time is an incredible experience that I will never forget. Bill Austin is committed to changing the world one person at a time, and I am excited to honor his efforts at the 2015 South-South Awards,” said Mr. Whitaker. Paul Shaffer, who is to be honored with the Cultural Achievement Award, will bring his sparkle and inimitable spirit as the musical director from the Late Show with David Letterman, while the electrifying percussionist Sheila E. will be performing with her father, Pete Escovedo, to light up the stage with rhythm and soul, joining dynamic performers from the global South. The South-South Steering Committee for Sustainable Development, key host of the prestigious red-carpet gala, is excited to welcome A-list celebrities, heads of State and Government, top UN officials, international business executives, civil society leaders, philanthropists and academics under one roof in 2015, the year of global action on sustainable development. “We have brought in some of the biggest names in the entertainment industry, including Ray Chew, music producer for ‘Dancing with the Stars’ and eight-time Emmy nominee, John Macs, who are among the most respected and creative minds in the field, to help raise the relevance of the Awards,” said Art Arellanes, the Executive Producer of the 2015 South-South Awards. Now in its fifth year, the South-South Awards honors distinguished countries, individuals and organizations that embody transformative sustainable development worldwide; particularly in the areas of poverty reduction, education advancement and humanitarian impact. It is a celebration of multilateral partnerships concerned with uplifting the world’s most vulnerable populations.